Philips AVENT 3-In-1 Sterilizer Just $36.91! Down From $75! PLUS FREE Shipping! You are here: Home / Great Deals / Amazon Deals / Philips AVENT 3-In-1 Sterilizer Just $36.91! Down From $75! PLUS FREE Shipping! 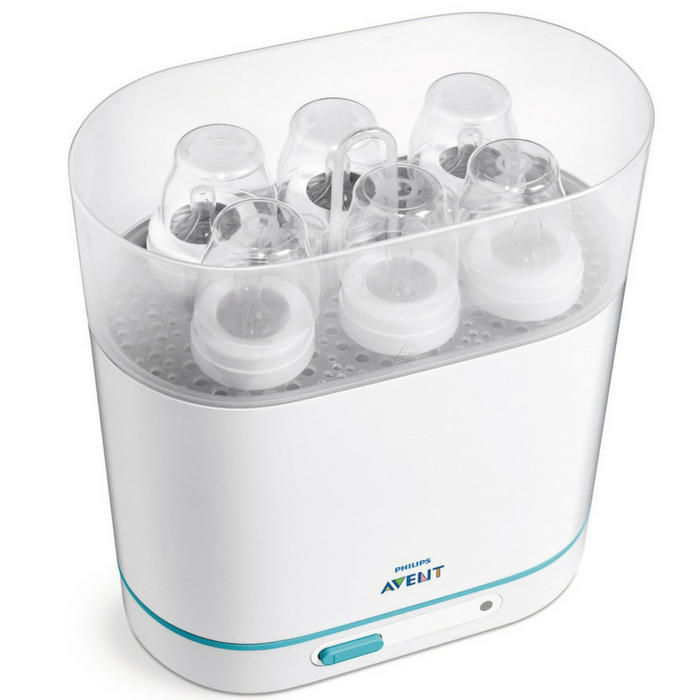 Amazon has this Philips AVENT 3-In-1 Sterilizer on sale for just $36.91 down from $74.99 PLUS FREE shipping! Philips Avent Electric Steam Sterilizer kills 99.9 percent of germs through intense steam sterilization. Simply plug the unit into any standard electrical outlet to safely and effectively eliminate most household germs in as little as six minutes. The adjustable size allows you to customize to your needs. It holds up to six Classic bottles, yet it takes only minimal space in your kitchen. Advanced features, such as a six-minute cycle with automatic shutoff, make it easy to sterilize breast pumps, bottles, cups, and more!